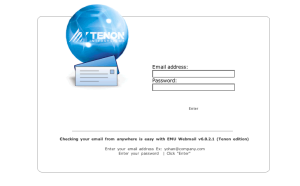 WEBmail from Tenon is a comprehensive and feature-rich web-based e-mail program created by EMUmail, Inc. WEBmail allows users to check their POP or IMAP mailboxes remotely using a Web browser. This has distinct advantages to laptop users and those who use multiple computers at different locations. WEBmail has an unlimited user capacity and can be used free of charge for thirty days. Please see the pricing information below for permanent, fully-customizable licenses. FREE Web Calendar integrated with the purchase of WebMail Personal, Small-Business, Corporate, or Enterprise! 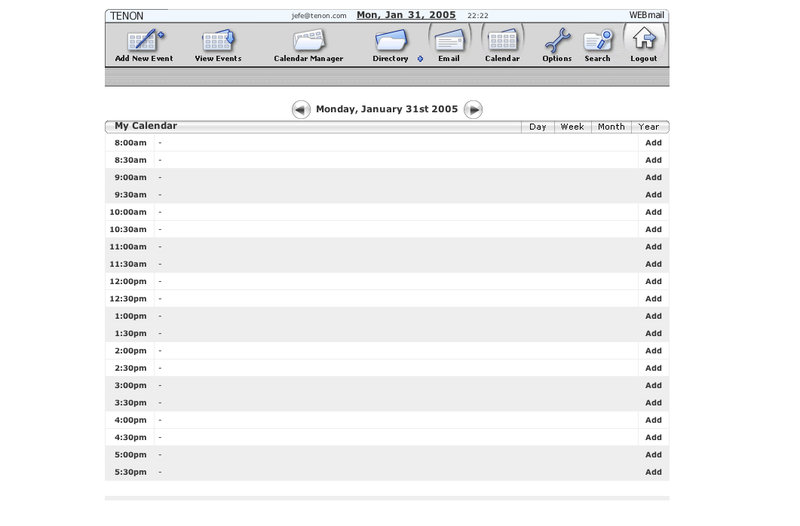 WEBmail Personal supports up to 100 mailboxes and the interface can be customized to create a look and feel unique to up to five virtual hosts. WEBmail Small-Business supports up to 500 mailboxes and the interface can be customized to create a look and feel unique to each of your virtual hosts. 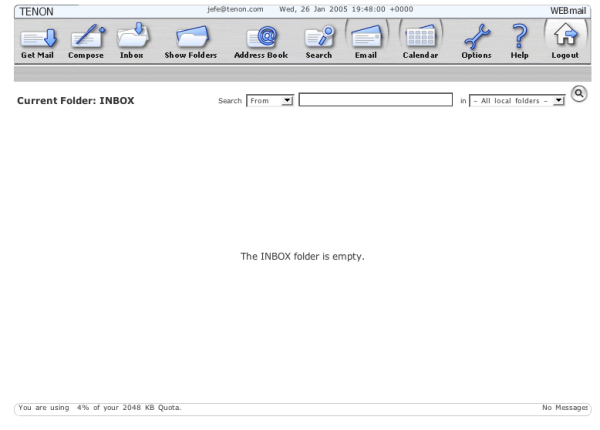 WEBmail Enterprise supports an unlimited number of mailboxes and the interface can also be customized to create a look and feel unique to each of your virtual hosts. Click the above link to go to our online orderform. 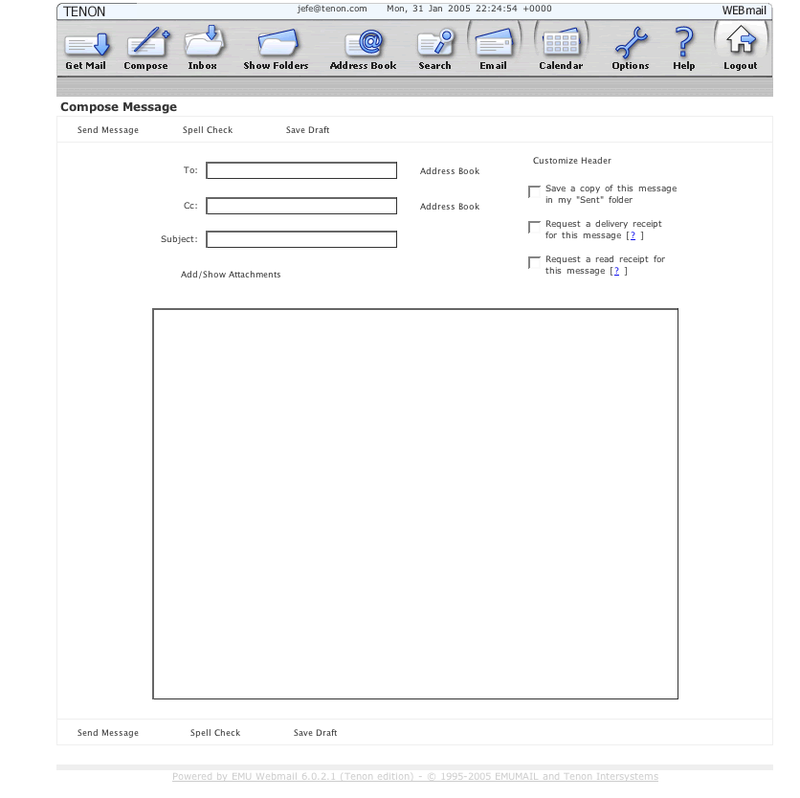 The section for WEBmail is located near the bottom of the form.